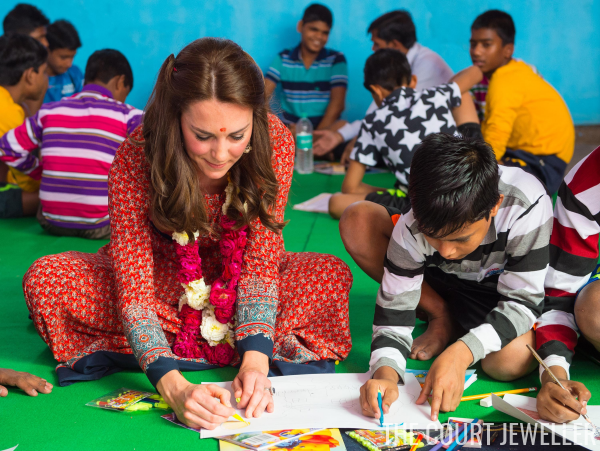 To visit a center for homeless children at New Delhi's railway station, Kate repeated a pair of earrings from the first day of the tour: the Filigree Bead Short Drop Earrings from Accessorize. The earrings coordinated nicely with Kate's printed maxi dress. Her hair was pulled back slightly at the sides, which gave us a good view of the earrings and, more importantly, helped keep her hair out of her face while she interacted with the children at the center. I think repeated an affordable pair of earrings was an especially good choice for this engagement. 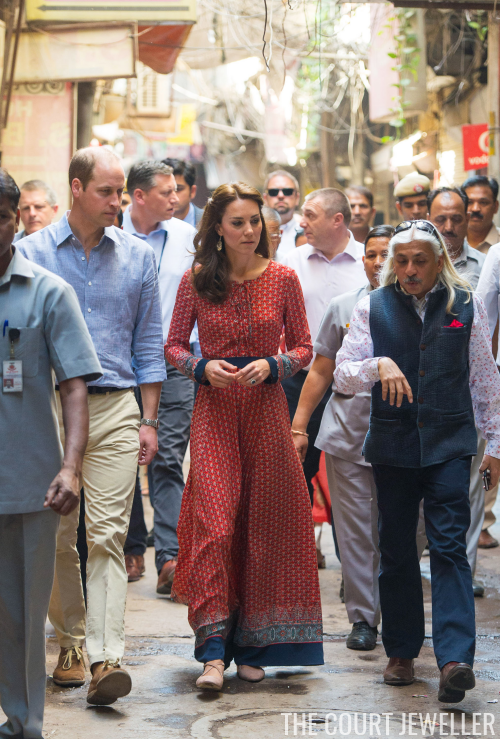 If Kate had worn a new pair -- especially one that was expensive -- the press reports from the visit would have become entirely about a display of wealth instead of about the children that Kate and William were visiting.